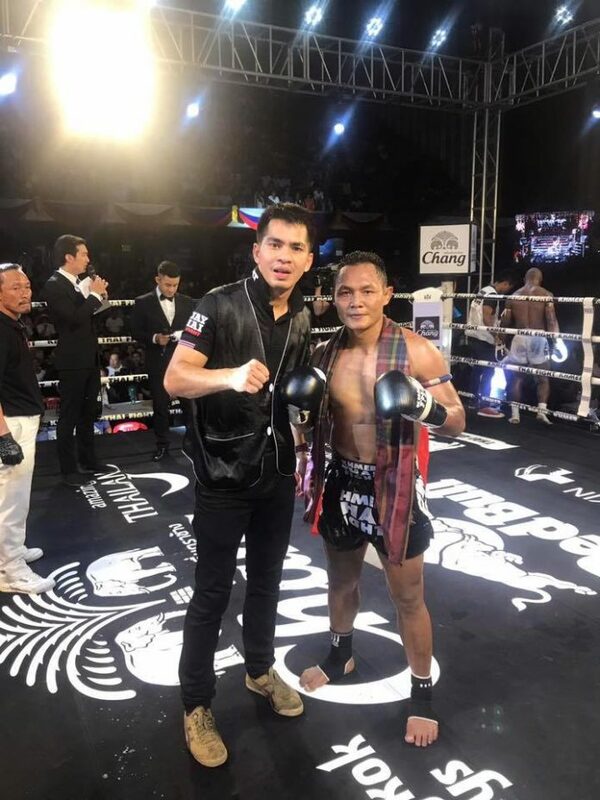 This week the Kings of Muay Thai ventured to nearby Cambodia to battle out at the “Khmer – Thai Fight” event held on Saturday November 25 at National Olympic Stadium in Phnom Penh. The televised show featured the eight-fight bill with several notable fighters out of Thailand, the representatives of the country-host, as well as the international competitors, coming from Brazil, Turkey, Ukraine, Russia, Norway and USA. In the main event famed Saenchai PKSaenchaiMuayThaiGym faced off American Arthur Sorsor. The three-round bout at lightweight went the distance, with the unanimous decision proclaimed in favor of the authentic representative of the “Art of Eight Limbs”. Also on the card, very popular Sudsakorn Sor. Klinmee similarly defeated Ukrainian Oleksandr Moisa, while his Thai-fellow Saensatharn also scored the decision against Brazilian Thiago Goulate. Among the bouts featuring local fighters up against international opponents, Khim Dima earned a decision against Russian Dmitrii Mordvinov. Muen Sophea defeated Muhammad Khalil of Norway also by decision. In addition, Pich Mtes Kmang stopped Brazilian Joanthan Silva in the first round. The complete Khmer – Thai Fight results can be found below.